New York.- The short US visit by the Metropolitan Pavlos of Kozani, coincided with the first public appearance of a new philanthropic organization, “Kibotos” (means Arc) , based in Astoria New York. Most of the leaders of the organization – including its president Jordan Kokoris – are active parishioners of St Demetrios Astoria and people touched by the spiritual work of Metropolitan Pavlos, while he was serving the community as priest. 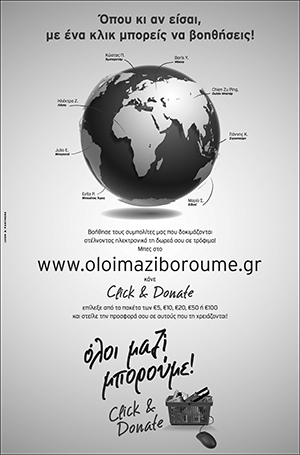 Kibotos Foundation is a nonprofit, nonpartisan organization of individuals and interested parties dedicated to the growth and preservation of Eastern Christian Orthodox schools, education, church’s and monasteries, in North America, South America and abroad. “We bring a mission of a world of hope, faith, tolerance and social justice ­ a foundation that brings values, ideals and beliefs through the to a broader audience of improvement and support”, says Vice Chairman George Gaginis. Today, more than ever, he continues, we face the threat of terrorism, HIV/AIDS pandemic, religious reforms, multiple food crises in Africa. We are under no illusion of these tragedies. Winning the fight against global intolerance will take more than good intentions ­ it will take faith in promising mission. “It means having the confidence that neither your children, you nor your faith will be hurt by others inhumanity. For many people, the holidays can bring a sense of overwhelming happiness, responsibility and even dread. People might find themselves cast into a dizzying array of competing demands ­ work, visits with family and friends, gift buying, baking, shopping, cleaning, caring for kids on school break, and scores of other chores. “Other obligations, like those of the Kibotos Foundation, focus on the true meaning of Christmas, faith, support and hope”, he says. He also underlines that their efforts are not rooted in New Years resolutions, but rather in compassion and a profound sense of responsibility to all of our fellow human beings. “Our efforts begin with the knowledge that together, we can change the world and make it better”, he said.